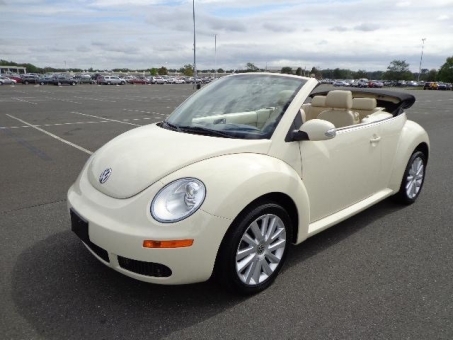 2008 Volkswagen BEETLE. Convertible model equipped with premium alloy wheels, factory leather, heated seats, Monsoon sound system and much more. This vehicle is FULLY loaded and is being sold Green Light. Vehicle has only 74k. This vehicle has been very well maintained with only some light scratches on the rear bumper.